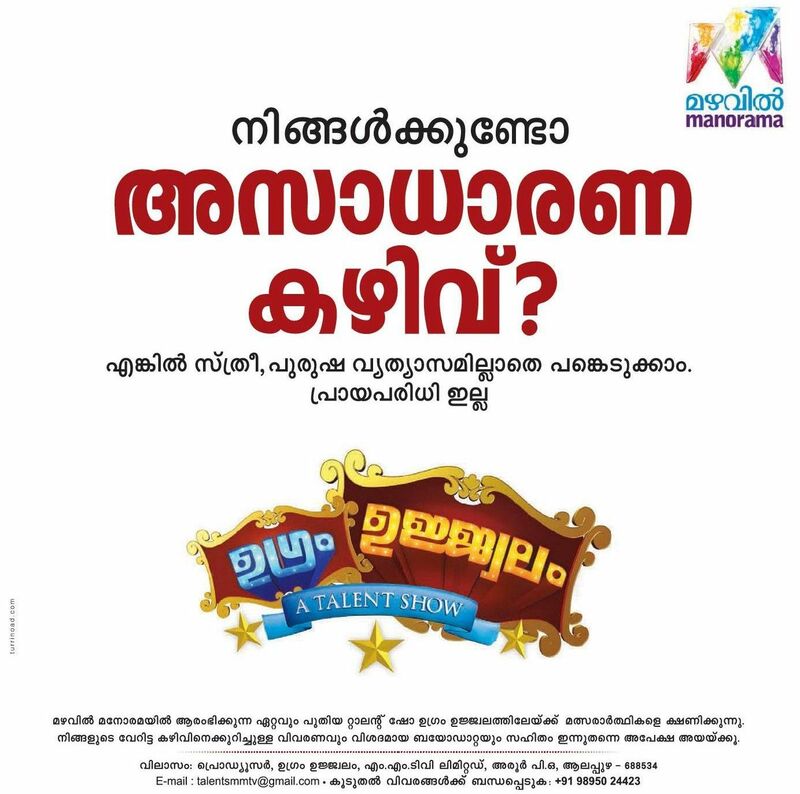 Mazhavil Manorama Channel Is Announced a New Talent Show, Ugram Ujwalam. If you have any special talents you can participate in this show. Male, Female can Send your detailed Bio Data and Describe about your special talent. You can send your details to Producer, Ugram Ujwalam, MMTV Limited, Aroor P.O, Alappuzha 688534. Email is [email protected] , For More Details Call to the Telephone 9895024423. Mazhavil Manorama is currently showing some good reality shows and Other programs. Cinemaa Chirimaa, Idea D4Dance, 1 um 1 um Moonnu etc are some of the programs on Mazhavil Manorama. Ugram Ujjwalam Launching on monday 5th januray 2015 at 8.00 P.M, every monday to thursday. Group performance the editing seems to be very poor. Especially i noticed in the performance of Dance the places where the shots (Camera) to be a long shots the editor concentrating on close up shots of individual. It spoil the beauty of the performance. when ever they are performing as a group please please try to keep the Beauty of the performance. I also want to Congrats to each and every one who is working for this Show!!! Idea is very much appreciated !!! I am a regular Audience for this show….